Camping in the great outdoors, cooking on a fire, pitching a tent – it’s not for everyone. Some of us prefer something a little more comfortable when having an adventure, but that doesn’t mean that you can’t still enjoy a camping vacation. 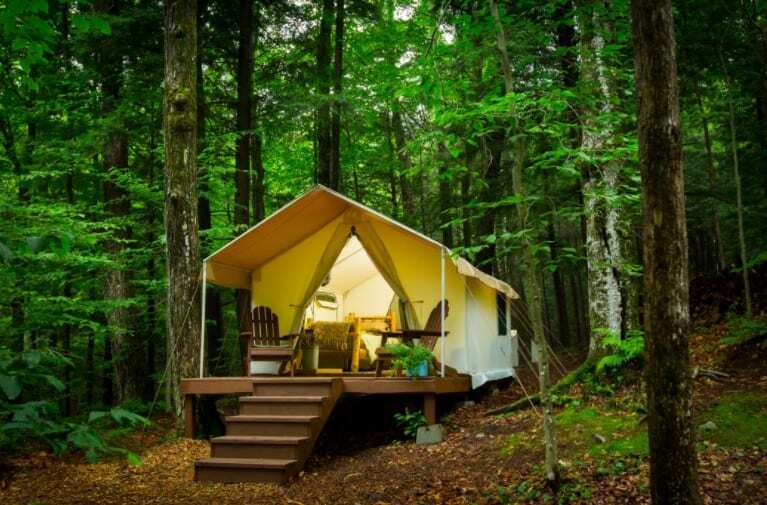 Glamping is the answer! A contraction of ‘glamorous camping’, glamping is all the fun of camping with that little bit more comfort that will allow you to enjoy it! Here is everything you wanted to know about glamping! 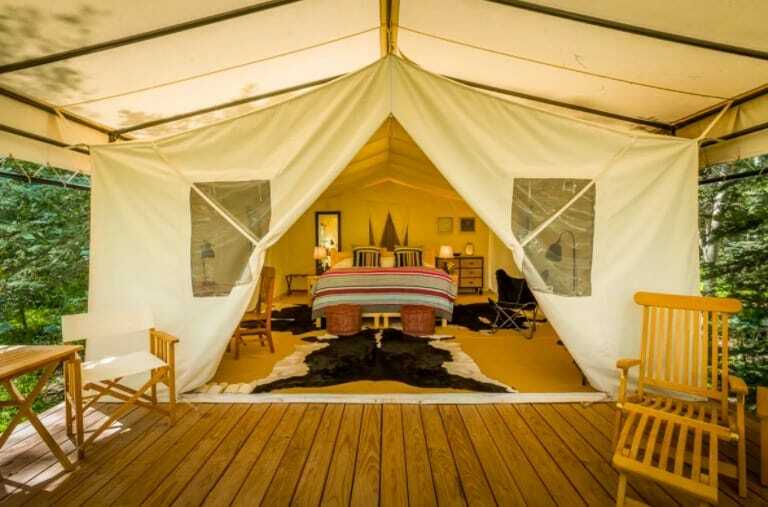 There are so many different ways to go glamping, and each one has its benefits. You could stay in a hut, a yurt, a tipi, a trailer or even a treehouse! One amazing benefit of these types of accommodation is that they are already constructed, which takes out some of the main stress that comes with camping. You can be sure that your accommodation for the evening is well-constructed and won’t let in any rain or dirt. Perfect! Each type of glamping is slightly different, but essentially your yurt/tipi/hut will feature some sort of a bed (some have full bed frames whereas others have mattresses on the floor – still, much better than camping beds! ), some type of flooring rather than just grass, and luxuries such as fairy lights and storage. Of course, they are not supposed to be like hotel rooms, but you can enjoy the camping experience with some added extras. Some glamping pods are even equipped with electricity but either way, just having something a little comfier to sleep on can make a huge difference. Quite often, glamping sites will also offer nice restroom facilities. Of course, they have shared bathrooms so don’t expect anything too fancy, but there will likely be toilet stalls, sinks, and a few showers – a huge step up from washing with baby wipes and having to squat in the woods! Glamping has become so popular that you will never be too far away from a site! Some sites will mix traditional camping plots with glamping options, whereas others will be dedicated glamping sites with activities available. As you don’t have to take your tent with you, this makes glamping a more of a travel-light experience, and so it is perfect for road tripping. Just stop off at various glamping sites across the country, without having to worry about packing up a whole bunch of hefty equipment. When you are glamping, a campfire is an absolute must, and you will feel more like an Instagram princess, rather than a cold, mud-covered camper. You’ll still get to enjoy the feeling of being in nature, gazing at the stars and spotting wildlife, but with the luxury of knowing that when bedtime rolls around, you will be able to get into a comfortable bed with no bugs in sight! So instead of dismissing the idea of a camping holiday with your family, why not compromise with a glamping adventure – you will probably get hooked!